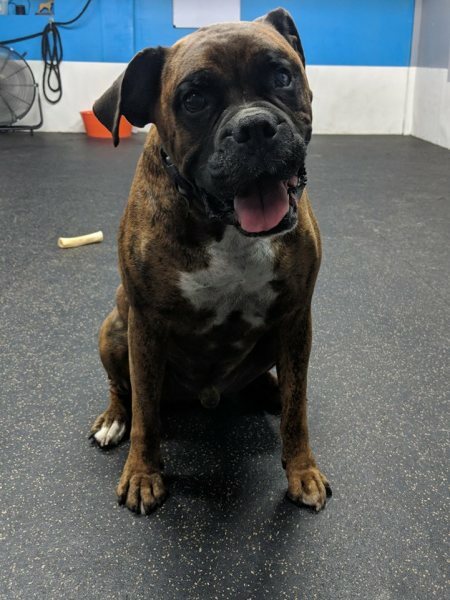 Moose was adopted from Boxers and Buddies roughly six years ago. He was recently surrendered back to the rescue and is now looking for his truly furever home. The last several years, Moose has spent his time as an outdoor dog. He is extremely excitable and loves to be given affection. He would do best in a home as an only dog, where he can be given the time and training he needs. His likes and dislikes are greatly unknown at this point. Moose is also looking for a foster home. If you are interested in fostering, adopting OR foster to adopt - please contact us.